The dreidel, known in Hebrew as a sevivon, dates back to the time of the Greek-Syrian rule over the Holy Land. Learning Torah was outlawed by the enemy, a “crime” punishable by death. The Jewish children resorted to hiding in caves in order to study. If a Greek patrol would approach, the children would pull out their dreidels and pretend to be playing a game. 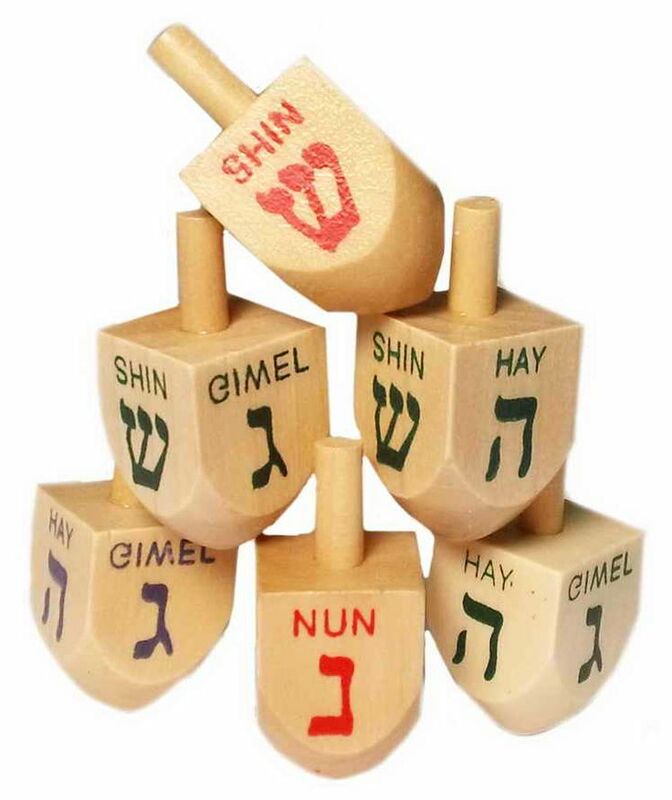 The Hebrew letters also represent Yiddish words that tell how to play the dreidel game. Each player starts with the same amount of candies, chocolate coins (gelt), or other tokens, and puts one in a pot. Players take turns spinning the dreidel, waiting to see which letter lands face up. Nun is for “nisht,” do nothing. Gimel is for “gants,” take the whole pot. Hay is for “halb,” take half. Shin is for “shtel,” add to the pot. The game ends when a single player wins all the tokens.